A well-balanced and effective Careers Programme exists within Dromore High School. The Careers Department is headed by a Co-ordinator and comprises other staff who have specialist responsibilities. Provisions for careers education within the Year 8 and 9 Curriculum is located within the Personal and Social Development programme. 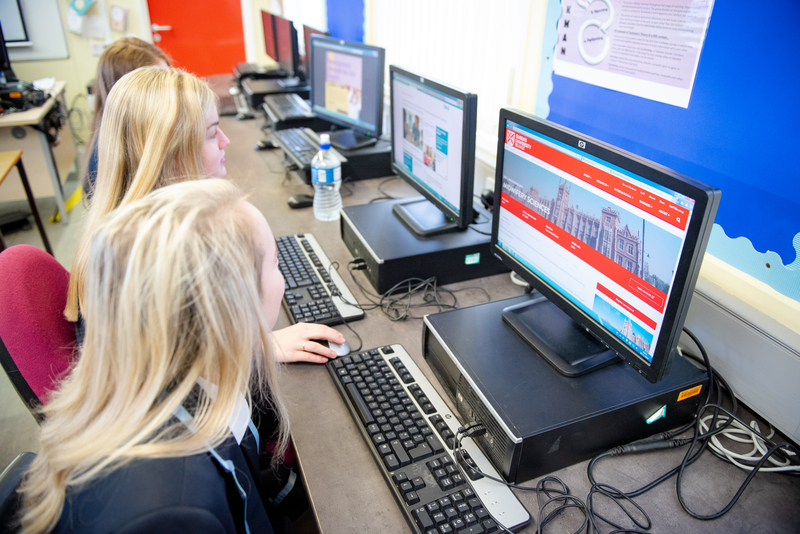 Years 10, 11 and 12 have timetabled Careers Education classes during which pupils are encouraged to develop individual career plans in a methodical way through a gradual introduction to the wide variety of resources available. This includes software resources for Self Analysis and detailed databases of Career Profiles. The Careers Programme is also complimented by visiting speakers, visits to institutions of Further Education, Industrial Visits, alternating biennial Careers Convention / F.E. afternoon and specifically targeted programmes eg Year 10 Career Planning Day, Year 12 Interview Skills, bought in from ‘Sentinus’. During these programmes invited local industrialists provide additional realism to role plays and simulations such as the ‘Interview procedure’. Each year the Careers Department places every Year 12 pupil during October/November for Work Experience. This is a very daunting task but due to the commitment of Careers Staff and local businesses over 160 pupils can be placed in any one year. Excellent relationships have been built up with local industrialists and even those further afield. Each pupil is visited by a member of staff during this placement and a report is submitted by the employing agency. Individual Guidance Interviews with a member of the Careers Staff are offered in Year 10 and 11 and parents are encouraged to contribute to these. The purpose of this in Year 10 is to assist pupils with decisions regarding GCSE Subject Choice. In Year 11 the development of Pupils Careers Plan is discussed alongside planning for a worthwhile Work Experience Placement.